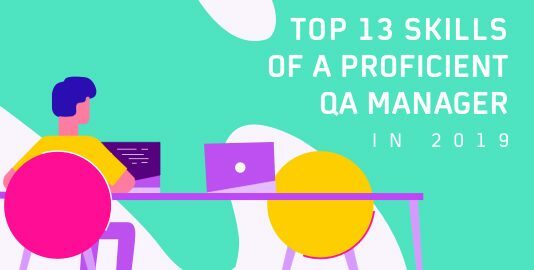 Many people and organizations still have a tough time finding the right software tester and it is because of the lack of the required skill set. 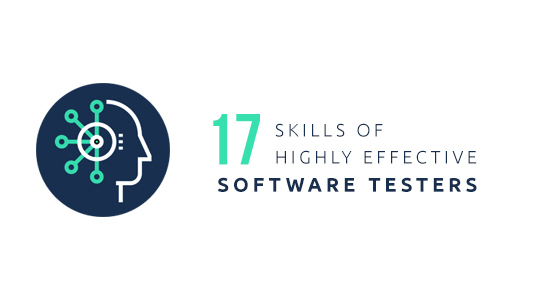 Today we will look at 17 software testing skills which are essential for any leading software tester. Testing is not as easy as it is often presumed to be! It holds great significance to any software development process. For any software tester, a knack for analytics and logical application of concepts is necessary. When testing software, it is imperative to analyze the given situation and accordingly create a solution for the same. The thought process and right mindset will help break down the problem into parts, making it easy to examine the elements of the problem and its relationships. Testing can be a long and tiring process sometimes requiring the tester to sit down for hours and analyze a certain situation. But, after spending these hours it is crucial to have the right communication sent to the higher authorities. This leads to the correct decisions being taken in terms of the release and timelines. A good report along with effective communication is vital to establish healthy transparency & trust of all the stakeholders as it conveys about all the actions taken, the bugs found, the bugs solved and any other issues encountered. An app or software is launched with a well-structured business model. While the tester is looking for technical aspects post-development, one of the most important software testing skills is the ability to emulate real-time business situations. This process of mentally mapping business scenarios is important as it enables visualization of complex problems. Each project has user stories that are implemented. These stories describe the type of interaction that happens with the system and the outcome that the system delivers. The outcomes to these interactions must be consistent and testers need to identify various scenarios where the consistency might break. This makes it essential for testers to understand the boundaries of the system and verify that the impact of various processes on the system produces desirable results. As a tester, it is important to understand individual components of the system and how they interact with each other under given circumstances. The presence of multiple stakeholders in modern businesses makes it tough to understand the complete working of these systems. This needs focussed attention on individual components. A tester can holistically test the application if he has the ability to detach himself from the system and get an outsider’s perspective. This view of the components will give him a better understanding of the component and any errors in its internal working as well. This is what we call the Glocal approach, monitoring global interaction as well as local working. As a software tester, while it is essential to have expertise in manual testing, there are times when it is good to rely on automation. During the life cycle of a project, a given module undergoes many changes in implementation. Every release cycle demands for a rigorous phase of testing in order to ensure the system stability. As a best practice, even the minor changes would be followed up by regression testing. This would mean that for each new implementation, the same tests need to be run. This is one such example of a process where repetition occurs. This is also a classic example of where automation can fit in. Automating tests for cases where there is repetition saves a lot of time for the tester to focus on more complex testing scenarios. As the name suggests, these technologies support agility and flexibility thus removing role rigidity, lack of accessibility and silos. With increasing complexity of the software being developed and deadlines to follow, testers need to adopt DevOps and Agile to promote the collaborative working environment. This speeds up the testing process and helps get the product out in the market sooner than expected. So, DevOps and Agile need to be among the top few in the most essential software testing skills. It is an obsolete belief that only developers need knowledge of programming. In the modern day, even testers need to have basic programming knowledge. This will help understand the working of the application and make it easier to test the same. 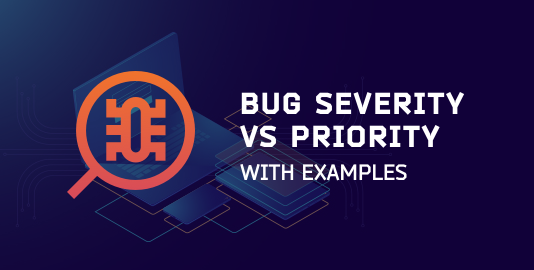 While testers will not need to code like the developers of the application, but understanding the code will give them an edge while identifying and rectifying errors, thus speeding up the testing process and quality of the final product. It also decreases the possibilities of further bugs and inefficiency. System lifecycle management is an essential contributor to testing cycle planning. For a software tester, it is important to have knowledge of SDLC. It will not only give them insights into the application development process but also help anticipate common complexities which might give them a tough time in the testing process. Some common technologies which are essential to an application lifetime process include Scrum, Lean, and Kanban among many others. These should be a part of the important software testing skills for any professional to be able to perform better. Software testing skills are a combination of technical and professional aspects. And to manage both it is extremely important for any individual to be able to take ownership of the project. As a software tester, being able to manage a project means delivering the project after a complete testing. Project management is an important skill not only because it leads to better management and delivery of results but also because it promotes a sense of responsibility. A tester is often mistaken as someone who is supposed to only test the product. But, there are times when the developer could have missed out on important information. A software tester is supposed to take charge of such situations and point out the lack of information. Moreover, one of the most important software testing skills includes honesty and rationality. It is the ability to question complexities of the development process and think critically. Supported by logical evidence, a tester can impose his learnings to improve quality of the product delivered. This involves understanding the latest trends that have emerged and have become popular. It will give them an understanding of the process, its scalability, and upcoming challenges. Technology changes rapidly and it is extremely difficult to keep up with them. Adding to this problem is the lack of a single source of information to update oneself on the technology front. There are several ways you can try to keep up to date with technology. Check for the top trends that well-known publications and online tech news website publish on a regular basis. Searching for trends in technology on a search engine will give you a good start. Following people who are industry leaders on social platforms. Platforms like LinkedIn and Twitter allows you to follow leaders in the industry who regularly post the latest things on their feed. Join Tech Communities. With communities on Reddit, Telegram, etc emerging, find the ones where discussions on latest trends occur and join them. People will share the relevant information which you can choose to learn more about those trends. In the arsenal of software testing skills, planning and documentation form the base of the entire testing phase. A good software tester needs to have a well-defined plan of action for the testing phase based on the requirements and timeframe. This helps to allocate resources accordingly. Moreover, documentation is a skill which many testers tend to ignore but a well-documented test process helps to get a better analysis. This helps the team simplify future solutions for any bug or error occurrence. Due to the abundant availability of browsers along with multiple device culture and variations in different screen size for mobile devices, the need for browser compatibility testing is more than ever. It allows testers to test their application across different browsers running upon various OS for different devices. 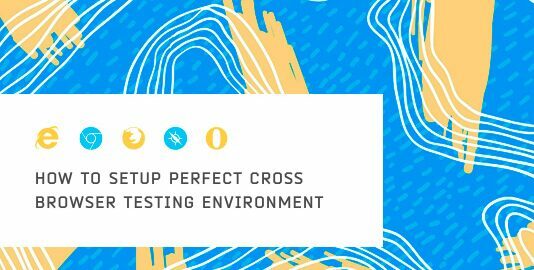 Cross Browser Testing is pivotal to ensure a smooth running post-launch. While a tester is supposed to test the application post-production and prior to the release, it is not completely a backend job or it isn’t supposed to be one. An efficient tester will always be a part of the greater good, the team and take charge when needed. This implies to all the front-end communication that takes place with the client. Testers need to be clear and concise with their communication. All presentations should be well supported with examples and evidence in addition to being short and to the point. Any queries raised by the client should be taken as a feedback and responded to with well-crafted solutions or explanations. This skill makes the tester an integral part of the team and is a well-noted quality of excellence. Learning is an ever going process and is also an essential contributor to career growth. But, rather than limiting ourselves to a specific industry, technology or environment software testing experts should learn and grow with newer technologies. This promotes adaptability and their ability to switch between different environments if his job demands to. While there are courses and certifications for every upcoming technology, most of them aren’t related or targetted to testers. Moreover, it will be a very expensive affair. Rather, learning to use new technologies practically is more important. Self-driven learning individuals are the leaders in the industry and go a long way. With the advent of DevOps and Agile, the work process has become collaborated with everyone including the developers and testers on the same page. Yet, there are times when issues arise due to lack of communication and understanding between the two entities. A very simple solution is to build trust among each other. This will help the testers get into the mindset of the developer and gain insights which might make the testing process easier. Team collaboration and team building exercises are necessary but there is a difference between team collaboration and interpersonal skills. An occasional lunch or coffee with the developer can be enough to create a good bond. Not only is this an essential software testing skill for testers but also a leadership quality will help in the longer run. As a tester, one needs to be equipped with ample knowledge about the respective testing tools and technologies present in the market, related to their project needs in order to optimize the testing process. Testing tools are less dependent on industries and domains and more on testing. For a tester, there are ample options for different testing processes such as bug tracking tools, automation tools, GUI testing among others. Also, cross-browser testing is essential in every domain. It is becoming prominent owing to the numerous platforms available. 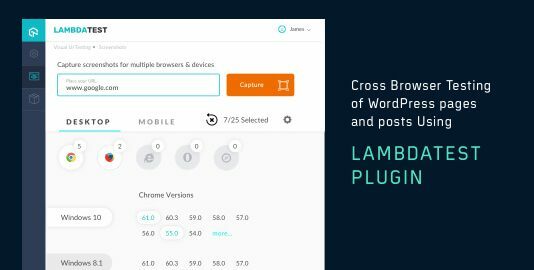 LambdaTest is only of the leading providers of cross-browser testing tools with hundreds of mobile and web browsers. Such tools with their array of devices help testers to debug and find errors efficiently and all at one place. A software tester will always have individualistic qualities and will vary from person to person. But, in the modern industries while hiring taskforce, a set of technical and non-technical qualities are looked for. We have discussed some of the most essential yet most common qualities but they aren’t everything. Each tester has their unique perspective which helps them to identify critical problems quickly. This is a characteristic that is developed over time with practice and experience.